Indie Retro News: 8-bit Civilizations - Ambitious project for a Civilizations inspired C64 game! 8-bit Civilizations - Ambitious project for a Civilizations inspired C64 game! Good morning retro gamers, have we got a special Monday announcement for you! 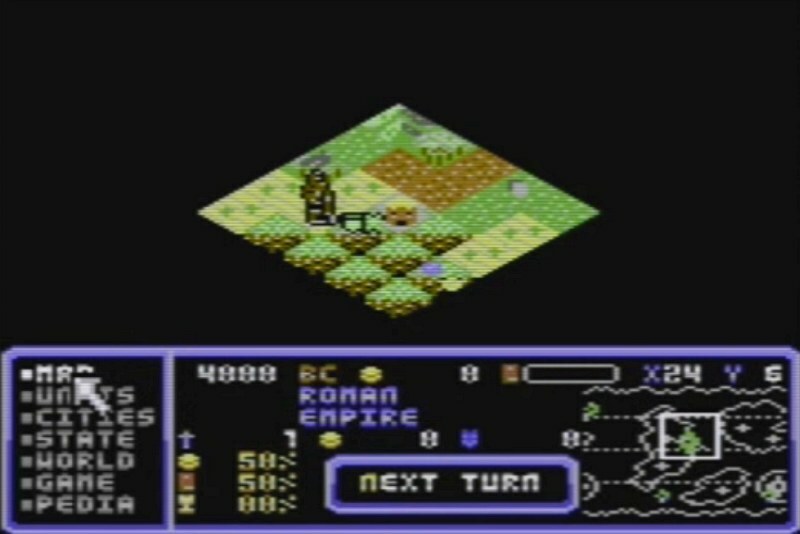 A Lemon64 member by the name of DrKhumalo has teased a work in progress Civilization style game for the C64, as ' 8-bit Civilizations '. Now I'm sure many of you have heard of the highly addictive management game called 'Civilization' by Microprose, well this developer who is a huge fan of such games including Master of Magic has always been disappointed that there was nothing like it for the C64, at least until now. According to the creator of this in development Civ style game, he noted that after discovering CBM .prog studio and a lot of C64-related web-content, he started to program and test whether that would work. To make a long story short, his aim was to make a demo version where a view of the map, unit movement, city economy and research would work, and so this video came to be!